While Star Wars is and always has been a gigantic franchise, but ever since the acquisition by Disney, the brand has expanded immensely into different mediums that have truly kept the interest of more than just the regular fan. Star Wars has been a part of animation for years now, but never before have we seen an incarnation of Star Wars like Star Wars: Resistance. Yes, it’s animation, but its style and approach to story is so far different from anything we’ve seen in the galaxy far, far away that it has turned fans off. Everyone seems to be annoyed by it, which I believe is the wrong choice after just one trailer. Now, everyone gets a brand new look at the show thanks to an extended sneak peak, which I think everyone will be more of a fan of. The series takes place just before the events of The Force Awakens and will follow new character Kaz, who has been assigned a mission by Poe Dameron (voiced by Oscar Isaac) to go undercover at a gigantic re-fueling station on an outer rim water planet. There, Kaz is joined by BB-8 where he will meet new friends, foes and must compete in dangerous sky races to keep his mission a secret from his new-found family and avoid danger from the ever-growing first Order. I really enjoyed this new trailer. It gives us, as fans, such a better idea of what to expect from this show come next week. As the title of this article says, it feels like aspects of this show will take from Top Gun and put it in the galaxy far, far away. Yes,it still very much has a kid-like vibe to it, but the characters look interesting and fun enough to get me to watch it on a week-to-week basis. Not only that, but the connections it looks to be bringing to the sequel trilogy and characters we’ve come to love (or hate) from those movies is always something that will intrigue me. It’s placed on Disney Channel rather than Disney XD, which screams kid-friendly to me right away. Even with that, I’m looking forward to see what it can do. I’m not sure how long it will last or if it’s just a one-season type deal until the next big project, but I give kudos to everyone involved because of how different it is to the other two animated shows we’ve seen. Hopefully this trailer is just a taste into what we’ll see starting next week. What do you think of the trailer? Is it enough to get you to watch? 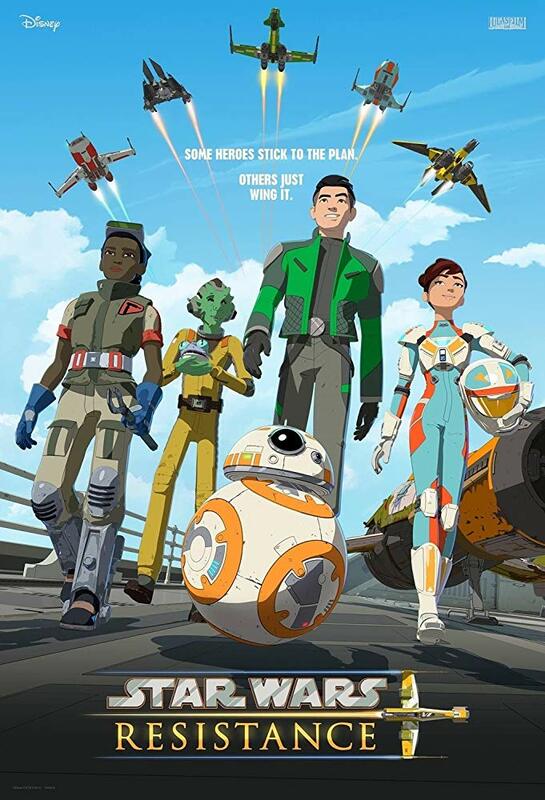 Star Wars Resistance will premiere on Disney Channel on October 7th at 10pm EDT/PDT.